There are all kinds of VIPs -- the hot girls who get into nightclubs without waiting in line, the fans seated backstage at Katy Perry concerts, the groups that dine on wagyu beef in private rooms. Then, there are people who are allergic to peanuts. 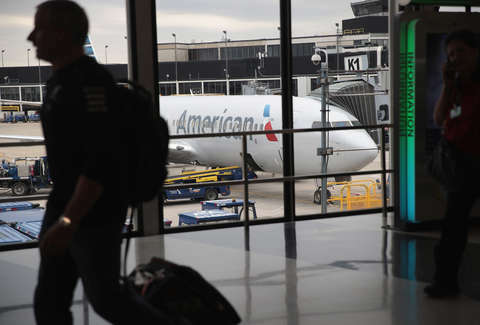 This might not sound like a clout badge, but that's where you're wrong -- starting this December, American Airlines will allow priority boarding to anyone who suffers from peanut or tree-nut allergies, according to a report by Bloomberg. So, if you're not going into anaphylactic shock, your inability to digest pistachios is actually your ticket to luxury. The new mandate will go into effect on December 12, when all flight-service manuals must be updated, giving any allergy-prone travelers ample time to wipe down their own seating areas before the remainder of the plane's passengers shove their way in. Apparently, the airline has faced a number of complaints in the past year from Food Allergy Research & Education, along with a lawsuit from a woman whose son has a life-threatening peanut allergy. Seems fair enough. “Customers with nut allergies who would like to board flights early to wipe down surfaces may ask to do so at the gate,” American said, per the report. This is not quite so demoralizing as the man who was recently made responsible for wiping dog feces off his own airline seat, but all the same, you'd think the crew on board might be able to help out a little on this one. There are about 15 million Americans who suffer from serious food allergies, according to the food-allergy research group, so some standard anti-allergen practices are not exactly a bad idea. In other news, American Airlines does not serve peanuts in-flight. So, at least they have that going for them.